Prior to the migration you’ll want to back up any email @yourdomain.com using an email client software like Outlook. This is particularly important for any who checks their email exclusively through WebMail as any email that is not backed up will be lost, because it will be left on the old server which we will no longer have access to after April of 2018. If you are not already using an email client like Outlook, there are several other free email client options available that will allow you to store your emails and check them directly from your desktop. 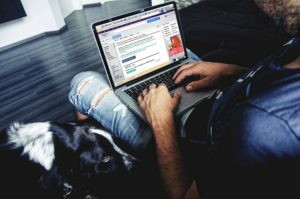 The following article lists 5 free options for you to choose from, many of which offer other beneficial free services like chat, calendars and app integration – http://www.techradar.com/news/the-best-free-email-client. After you decide which email client is best for you, download the software and the rest of the setup is straightforward; all you’ll need is your email address and password and once setup your messages will start importing.